Weird. Socially Awkward. Retarded. Slow. Stupid. Unfortunately, these are some of the words that are used to describe individuals with Autism. However, these words are far from the truth when it comes to people that are autistic. Words like HAPPY, CARING, CHARISMATIC, RESILIENT and INTELLIGENT comes to mind when describing someone that’s autistic. Unfortunately, Autism has become more and more common over the years. This “disABILITY” has impacted many families around the world, including my own family. At the age of 2, my little brother, JC, was diagnosed with Autism, particularly Asperger’s Syndrome. JC is now 16 years old and he is a sophomore in high school. He is currently in a program through his school, where he works at Walgreens and they help him to enhance his social skills and allow him the opportunity to balance school and work. SUPER DOPE program if you ask me. Additionally, my mama got him in all kinda things, like attending summer camps, going bowling with some of his friends, and being involved with Empower Sports (LINK), where JC plays on a basketball team with kids that has similar “disABILITIES” as he does. I’m looking forward to see what the future has in store for JC and how he will make a lasting impact on this world. I’m confident that JC will be well off after he graduate from high school and more than capable of living an independent lifestyle when he becomes an adult. 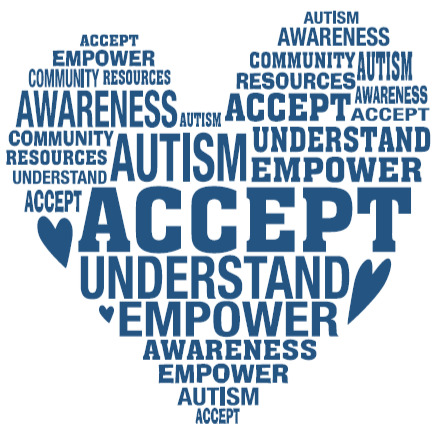 Lastly, for anyone who is reading this and Autism has impacted your life, please continue to support your loved one as well as seek out the endless amounts of resources out there for autistic individuals. Autism Speaks is a great place to start (LINK). And if your loved one is in school, continue to hold the school system accountable and ensure they have the best interest of the child. And ALWAYS REMEMBER….Autism isn’t a disABILITY!! !